Too much television has a detrimental effect on all of us. It’s been linked to obesity, particularly in children. Media exposure has also been correlated with aggression in children and risky behavior. We know that all of that exposure to the images in media can distort a viewer’s sense of reality. It can be difficult to pull children away from the television. But with a little creativity and fun, time away from the television can be easy. Declare one night each week family game night. That means no television, for children or adults. Pull out the board games and make an evening of it. These are the nights your children will remember and children of all ages can enjoy this weekly tradition. Get out the video camera and challenge your children to make their own television or movies. Have them write the script, design the costumes, and set the stage. Depending on the initiative and enthusiasm of your children, this event could last all weekend. Once the movies are complete, you can sit down and enjoy them together as a family. 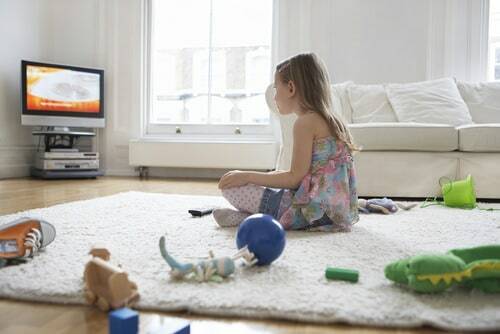 If you have older children, consider challenging them to a month or more without television. Maybe consider incentivizing it with something they’ll appreciate, like a gift card to the local theater. You might find that once they get used to the fact that the television isn’t an option, they’ll become more social and active. Related: Should Babies and Toddlers Watch Television? When the weather is warm and the sun sets later in the day, it’s easier to get out of the house. Go for a walk, drive, or bike ride with the family. Head to the park to play Frisbee or catch. Drive to the biggest playground in your community and let your children play until they’re exhausted and ready to sleep. If you have access to a pool, that’s a surefire way to spend a great summer evening. Finally, remember that you make the rules in the house. It’s your choice to have no-television rules and guidelines. Many families are learning that living without a television in the home isn’t as much of a hardship as they thought it would be. It can bring the family together.